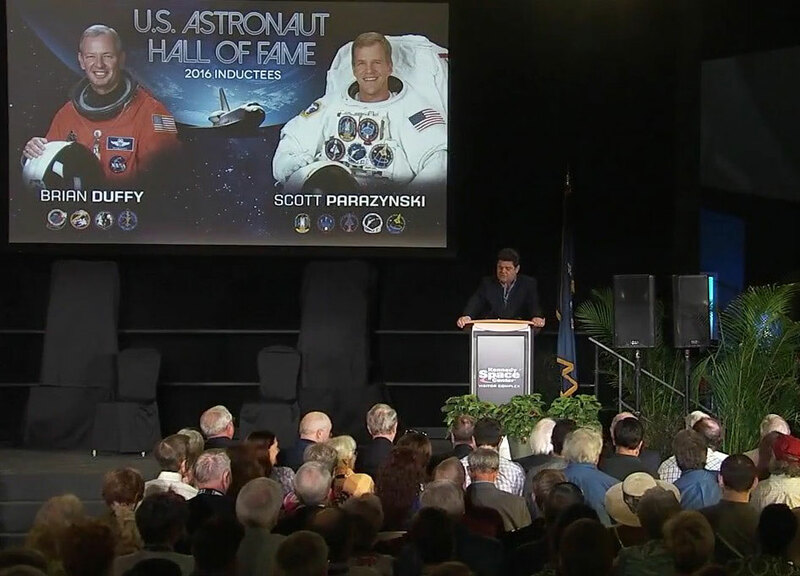 The U.S. Astronaut Hall of Fame welcomed astronaut inductees Brian Duffy and Scott Parazynski to its ranks during a May 14 ceremony at the Kennedy Space Center Visitor Complex, in Florida. Parazynski, who retired from NASA in 2009, flew on five spaceflights and performed seven spacewalks during his career. Duffy, retired from the Air Force and NASA in 2001. He logged more than forty total days in space during his four spaceflights. The pair join an elite group of well-known space explorers, including Alan Shepard, John Glenn, John Young, Neil Armstrong and Sally Ride.